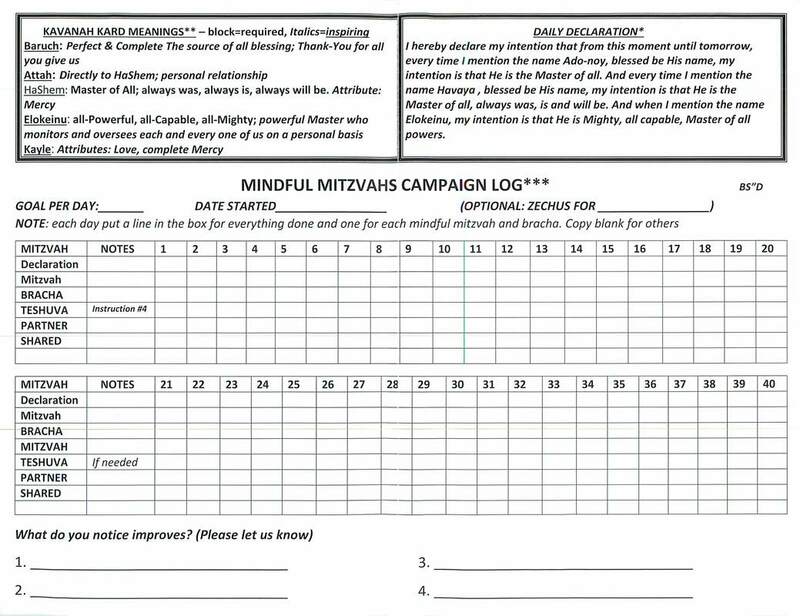 MINDFUL MITZVAHS - 40 DAYS THAT CHANGE YOUR WORLD! ​Do you wish you could "feel" closeness to Hashem? Are you yearning for spiritual "sparkle"? I have been working on the " 40 day challenge" and BH I have had great seyata d'shmaya..
Did the clearing and thanking last night. It was challenging to get through, but I feel really good and davened really well this morning. 3. Giving it to Hashem Exercise to help release any resistance to doing mindful mitzvahs. 4. Breathing Life! exercise to help increase self love and self-acceptance to help you to more easily do things for your own best interest.